The HTC Tiara may be the first Windows Phone 8 smartphone with GDR2, the second update to Microsoft's mobile operating system, according to rumored specifications. 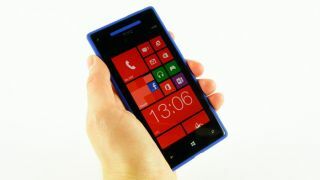 Listed along with "Windows Phone 8 GDR2" as the OS are additional leaked specifications dug up by Unwired View that put this phone in the mid-range category. Components include a 1.2GHz dual-core Qualcomm Snapdragon CPU, 4.3-inch Super WVGA LCD2 display, 1GB of RAM, 8GB of storage and a 1800mAh battery. These rumored HTC Tiara specifications line up almost perfectly with the company's mid-range, Android-powered HTC One SV smartphone. The only exception is that the WP8 version has a slightly superior 8MP rear-facing camera over the One SV's 5MP camera. The HTC Tiara release date is said to be in mid-May, according to the same rumor, although the company isn't ready to publicly crown its first Windows Phone 8 GDR2 smartphone just yet. "HTC does not comment on rumors and speculations," the company told TechRadar when asked for a comment on the leaked specifications. When Taiwanese device manufacturer does finally acknowledge its next WP8 smartphone, it's unlikely to call it by the codename Tiara. Instead, look for something along the lines of the HTC 8T, 8U, 8V, or 8W, as this mid-range Windows Phone 8 smartphone's rumored components fit nicely between the existing HTC 8S and HTC 8X.